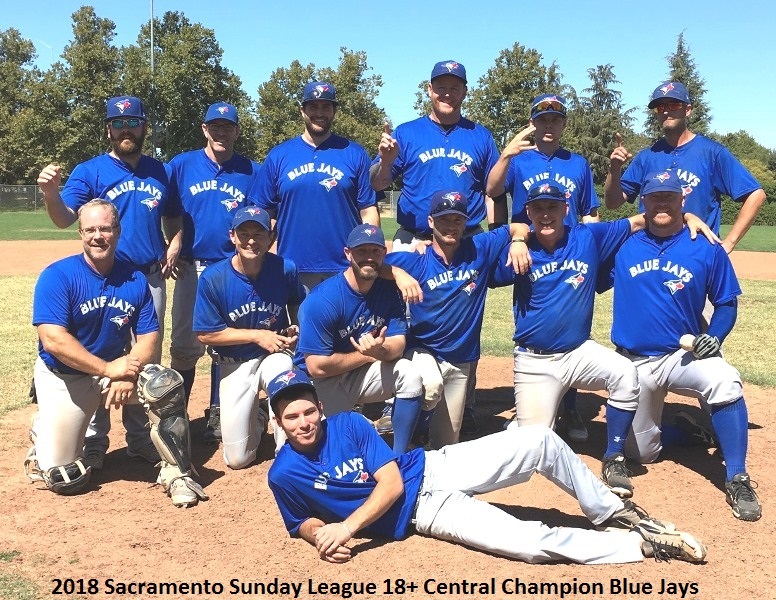 The Blue Jays faced a fiercely competitive Dragons team a total of four times this year and the championship series between these two teams was just as fierce. In game one, the Dragons took an early 5-1 lead. The Jays were able to get three runs back in the fifth, while the Dragons added another insurance run in the seventh. Down 6-4 in the bottom of the eighth the Blue Jays rallied and scored five runs to take the lead. The Blue Jays batters strung together 14 total hits, while Andrew Mumpower threw a complete game giving up only one earned run, striking out eight batters and topping off the ninth with a 1-2-3 inning and the win. In game two, the Dragons took another early lead out-scoring the Blue Jays 3-1. Then in the fifth inning the Blue Jays put four runs on the board to take a 5-3 lead. Insurance runs added in the seventh, eighth and ninth brought the final score to 9-3. Tanner Clark struck out 13 total batters, retiring the last 11 straight to close out his complete-game victory, while Blue Jays batters put together another 14 hits as a team.